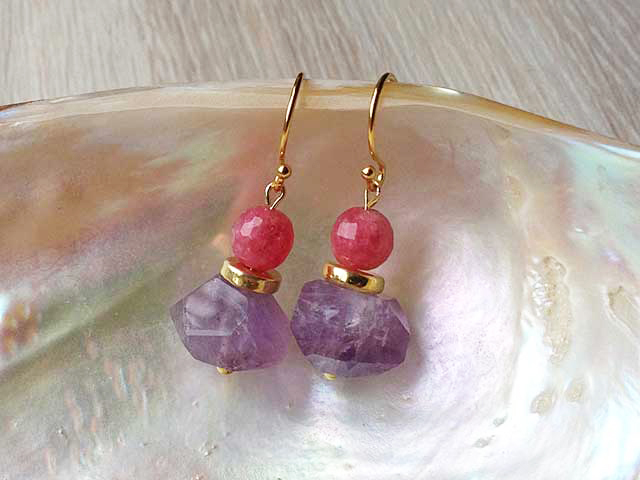 Mauve amethyst and pink kyanite make a stunning combination in these bohemian earrings accented with 24ct gold ceramic bead and placed on 14ct gold fill hooks. 24ct gold is fused into handmade ceramic beads for durability. Length: 30mm overall. Gold fill hooks. 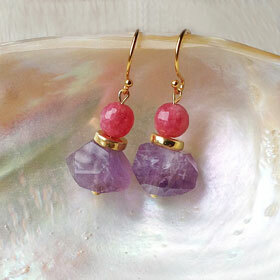 Amethyst approx 12mm, kyanite 6mm.